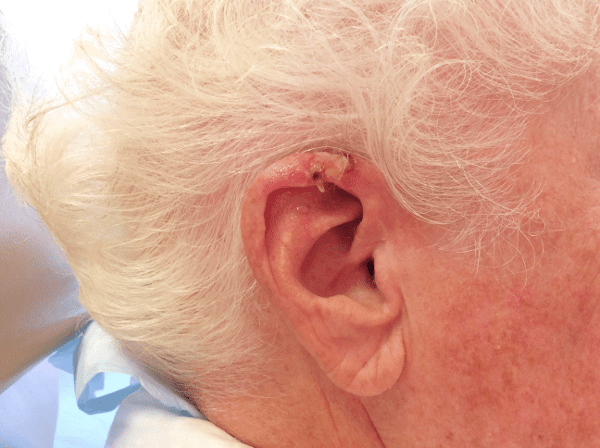 Patient with a history of basal cell carcinoma to the left ear mid helix. 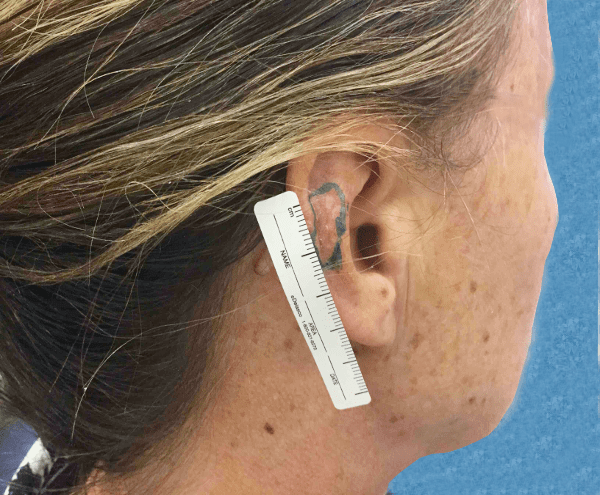 Patient underwent Mohs surgery in three stages resulting in a 2.0 cm x 1.5 cm defect. 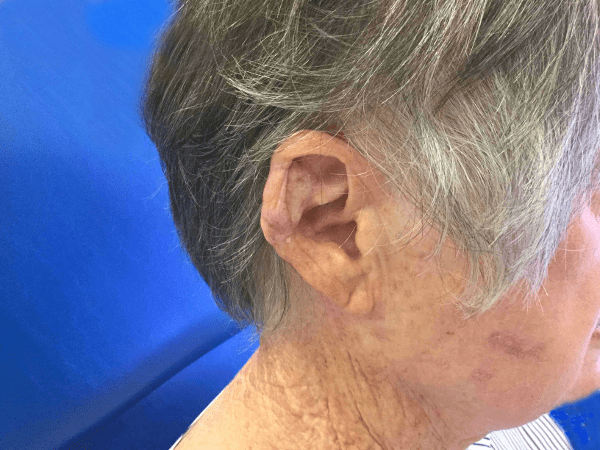 Patient underwent reconstruction with a pedicle flap. 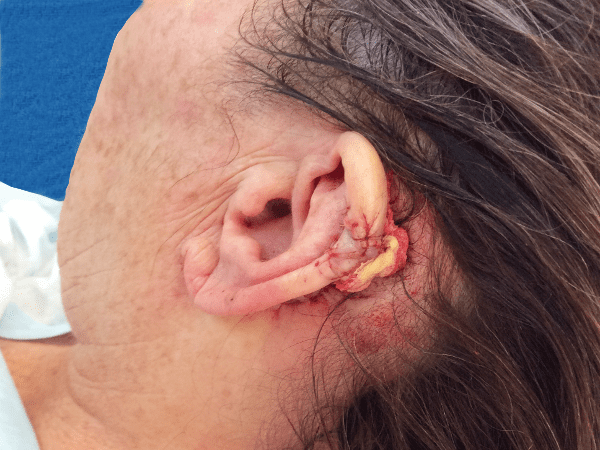 Patient with a history of basal cell carcinoma x 2 to the left ear. 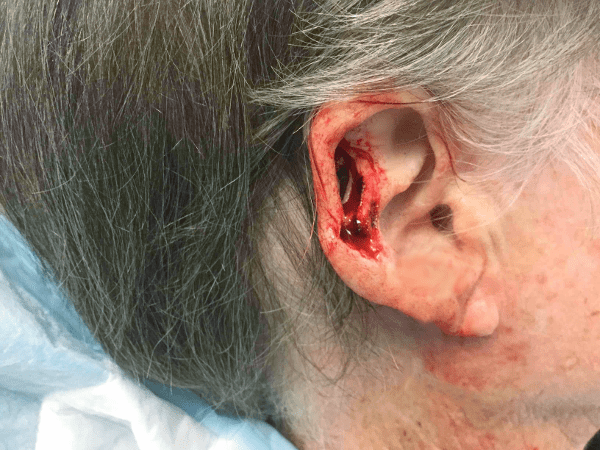 Patient underwent Mohs surgery to two sites. 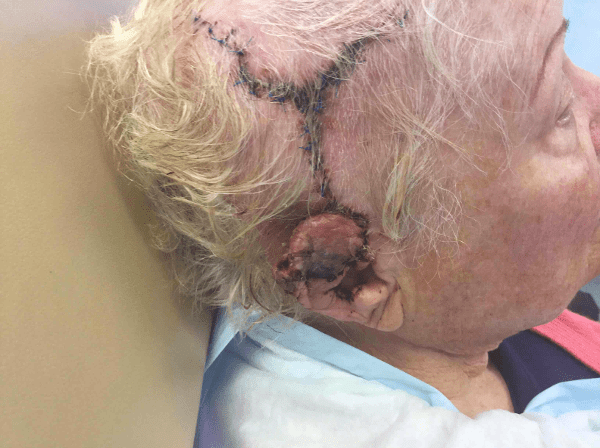 Patient underwent reconstruction with full thickness skin graft to both sites. 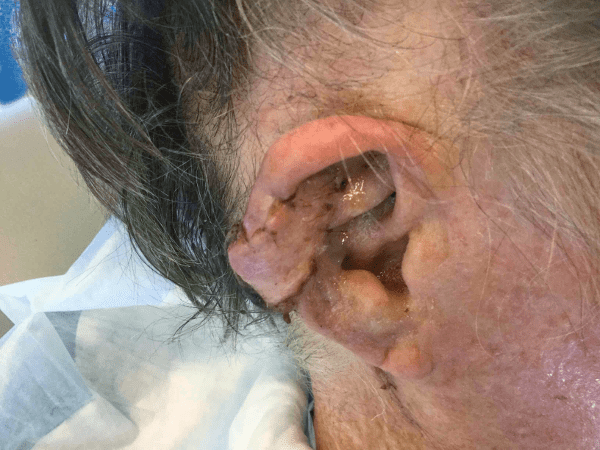 Patient with a history of basal cell carcinoma to the left ear mid helical sulcus. 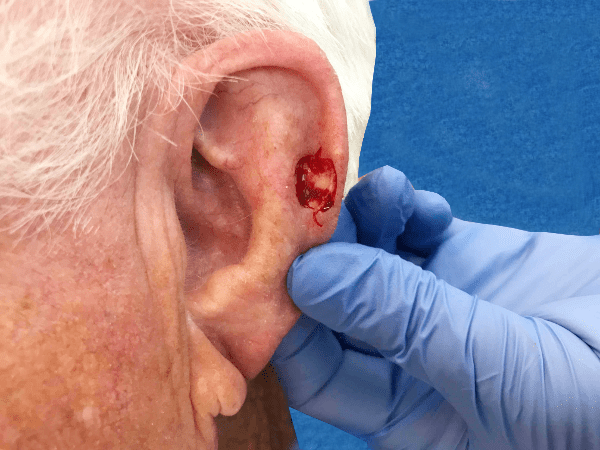 Patient underwent Mohs surgery in two stages resulting in a 10 mm x 9 mm defect. 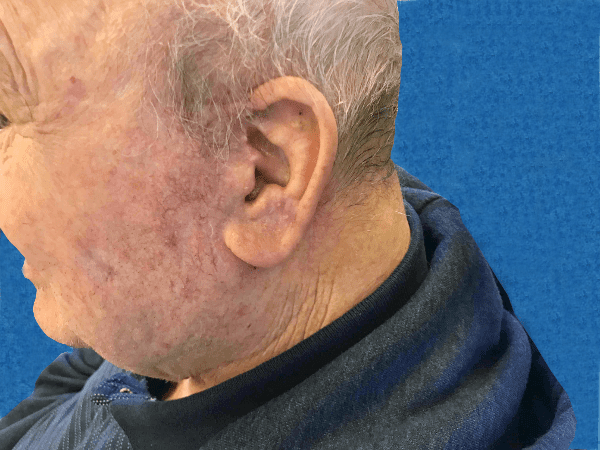 Patient underwent reconstruction with a full thickness skin graft. 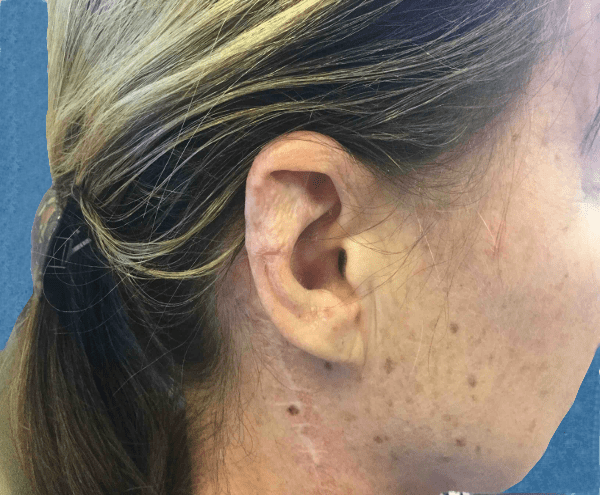 Patient with a history of basal cell carcinoma to the superior helix. 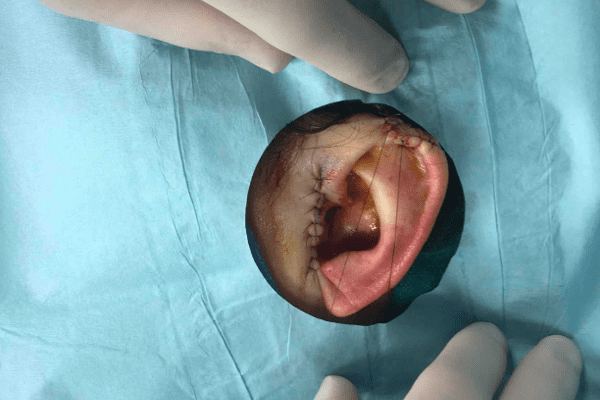 Patient underwent Mohs surgery in one stage resulting in a 15 mm x 8 mm defect. 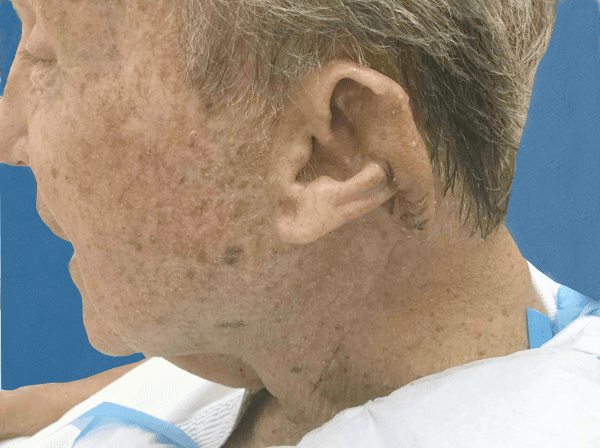 Patient underwent reconstruction with a full thickness skin graft. 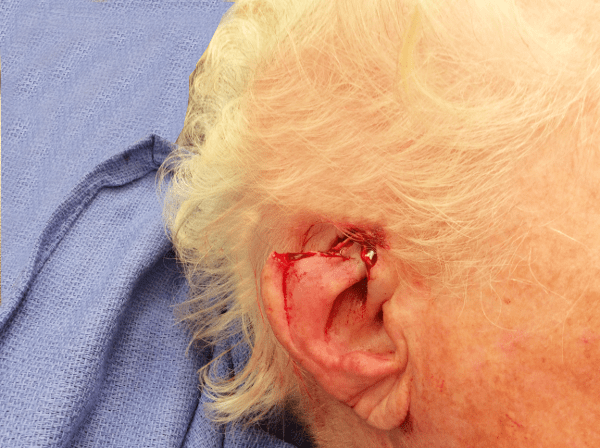 Patient with basal cell carcinoma to the right ear mid helix. 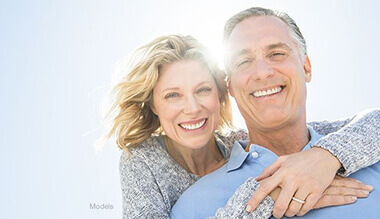 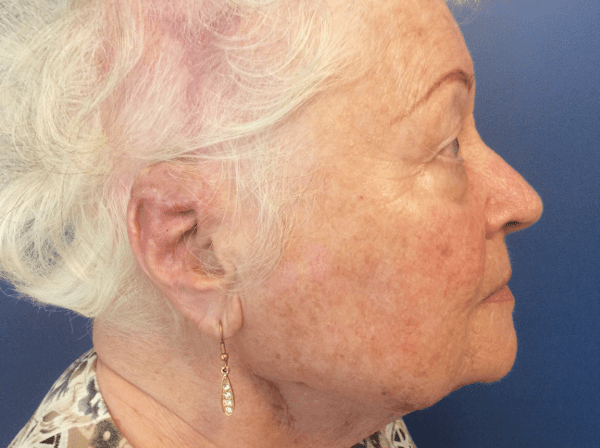 Patient underwent Mohs surgery and reconstruction with an advancement flap. 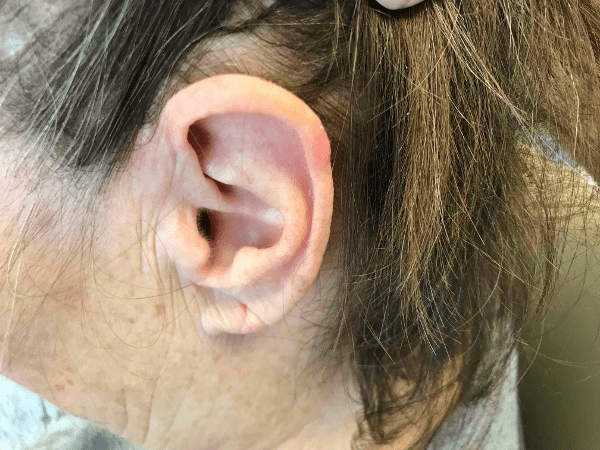 Patient with basal cell carcinoma to the left ear mid posterior helix. 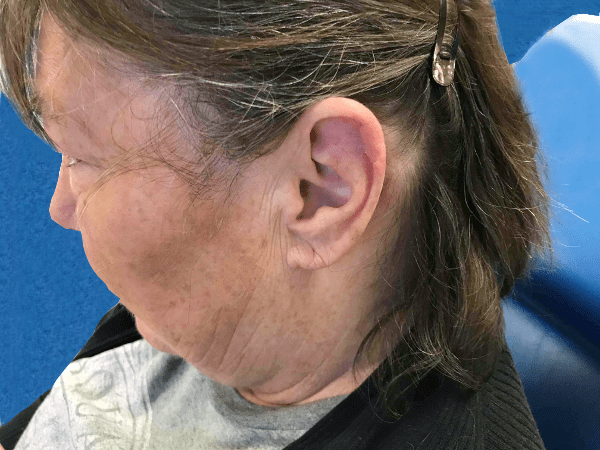 Patient underwent Mohs surgery with extensive defect and reconstruction with pedicle flap reconstruction. 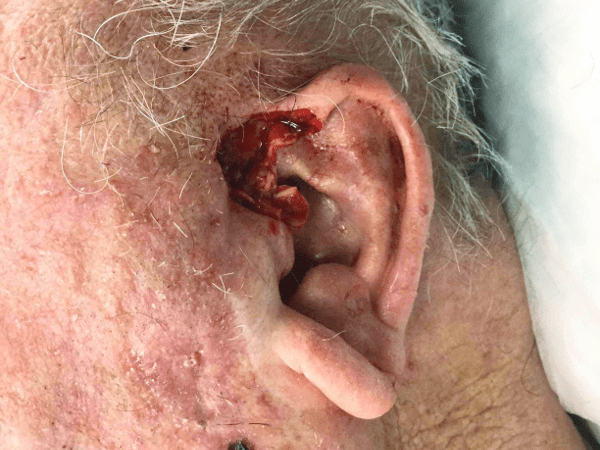 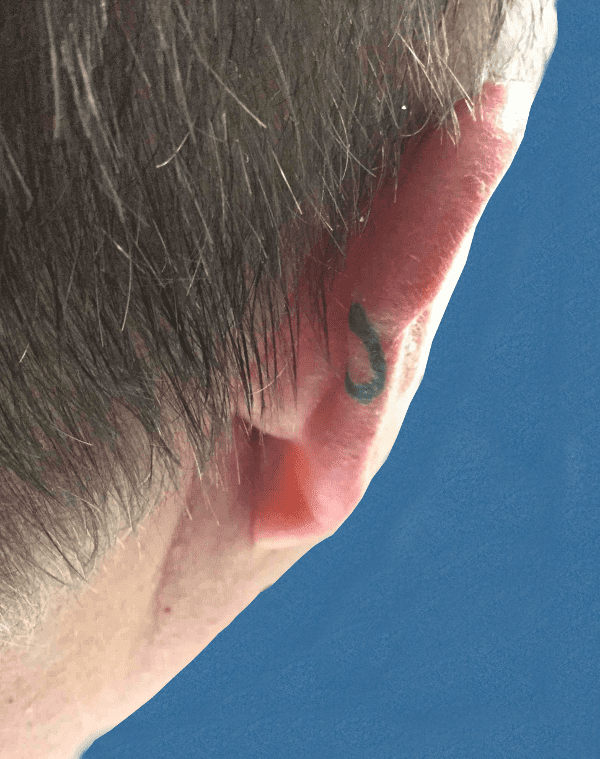 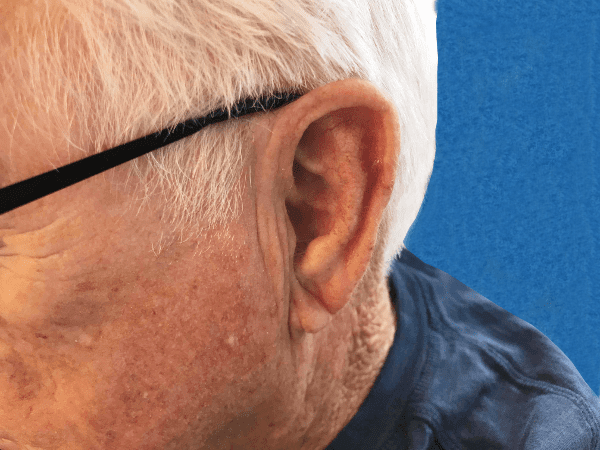 Patient with an extensive basal cell carcinoma to the right ear. 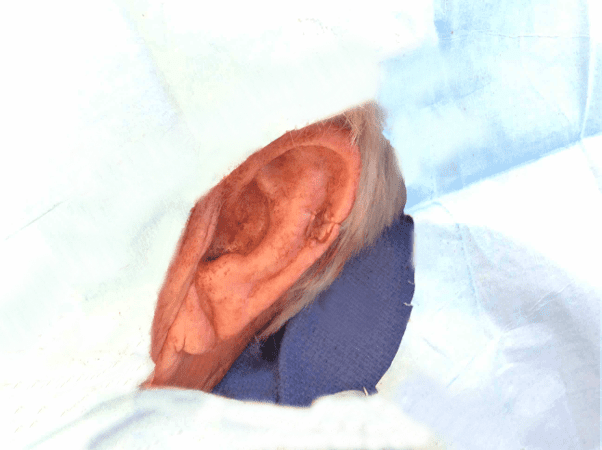 Reconstruction with cartilage graft and pedicle flap from the right postauricular neck. 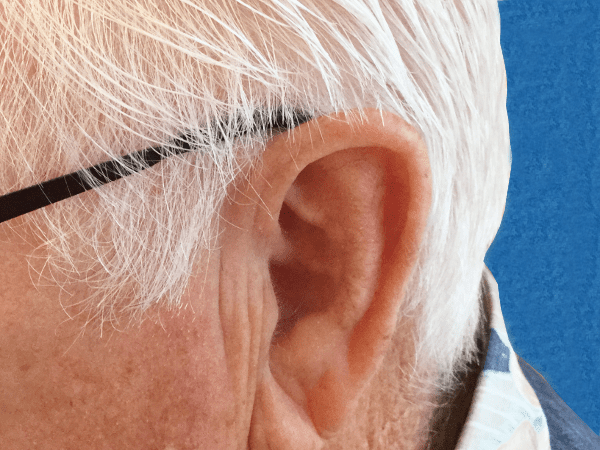 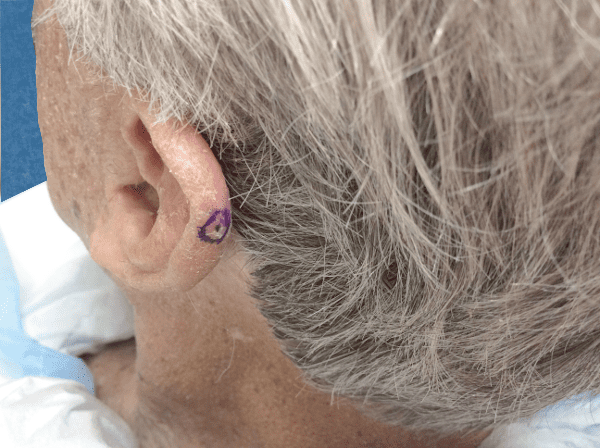 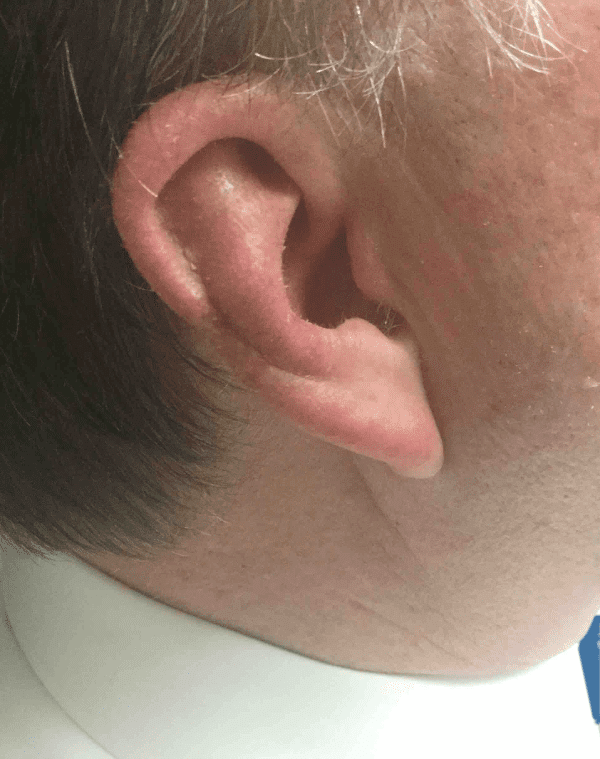 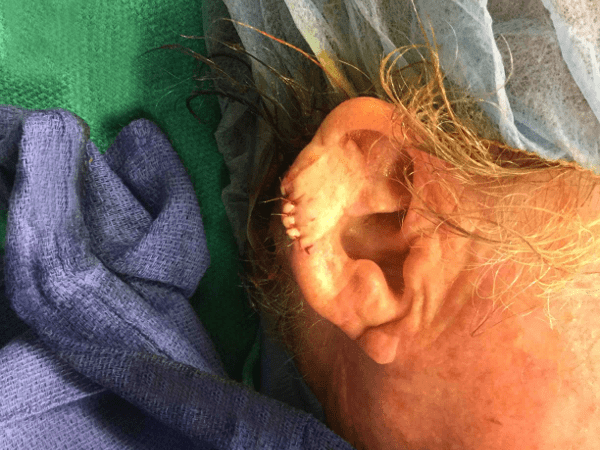 Patient with a history of basal cell carcinoma to the right ear superior helical sulcus. 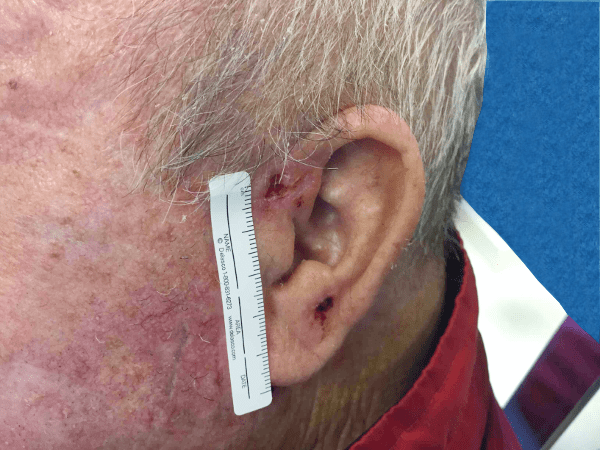 Patient underwent Mohs surgery in two stages resulting in a 3.0 cm x 1.5 cm defect. 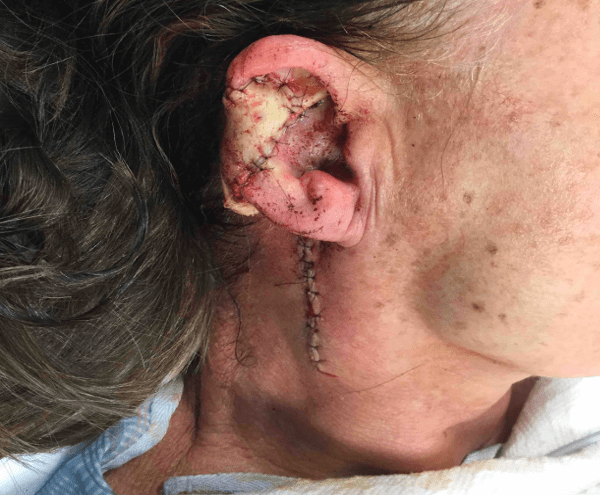 Patient underwent reconstruction with a pedicle flap. 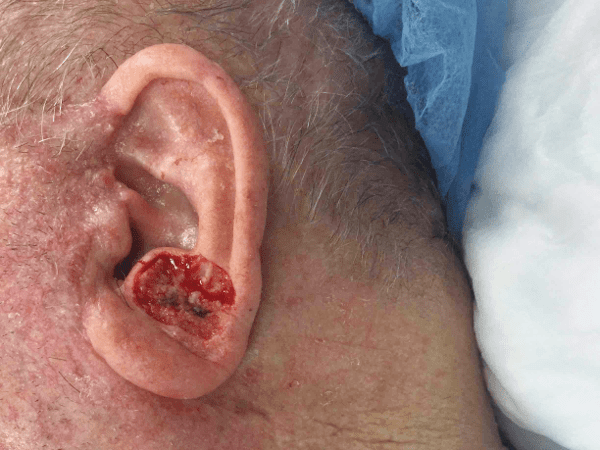 Patient with history of basal cell carcinoma right ear superior helix. 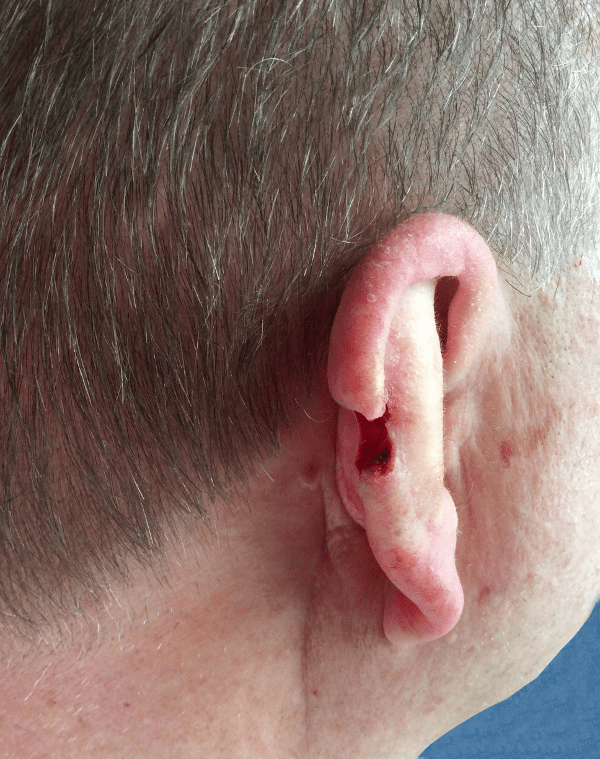 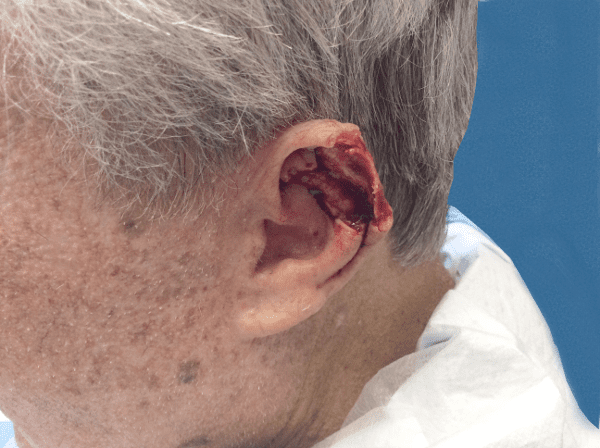 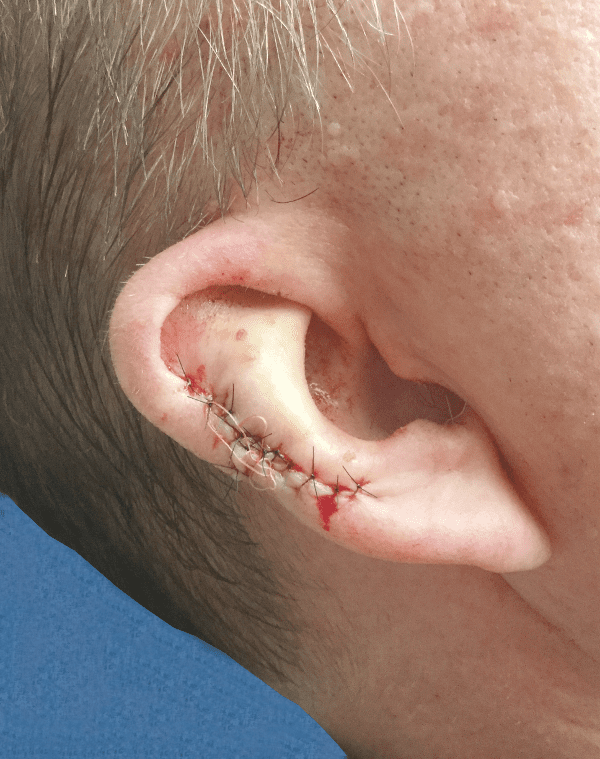 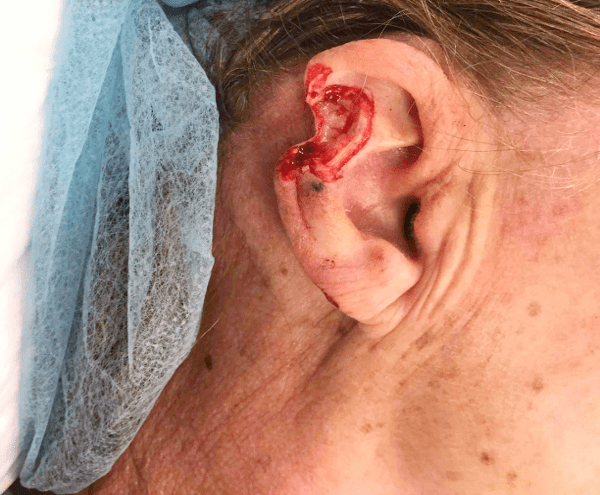 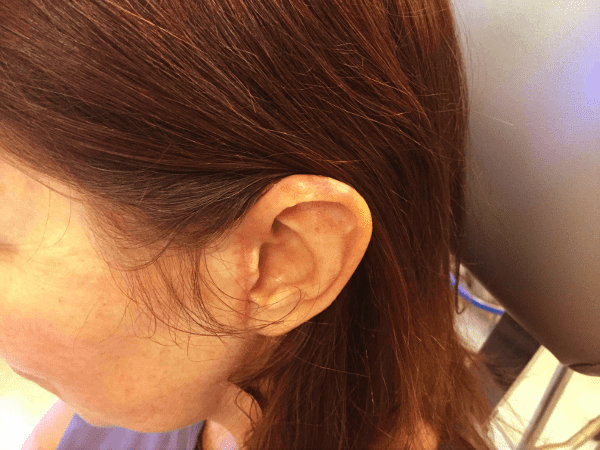 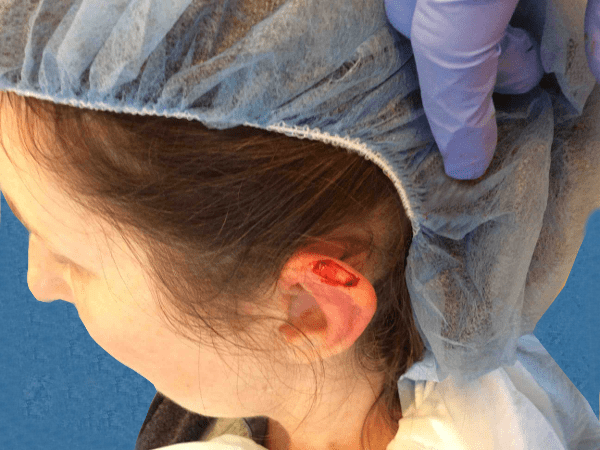 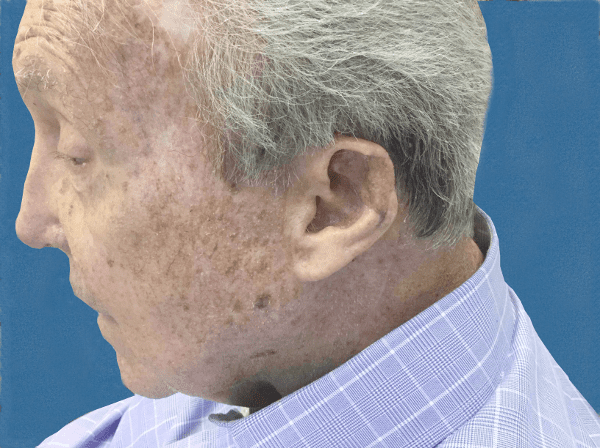 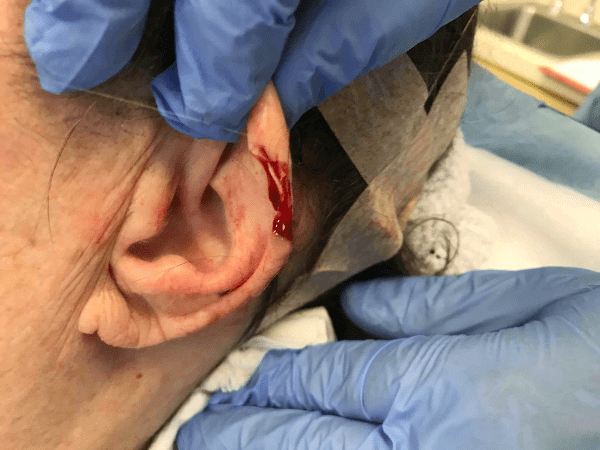 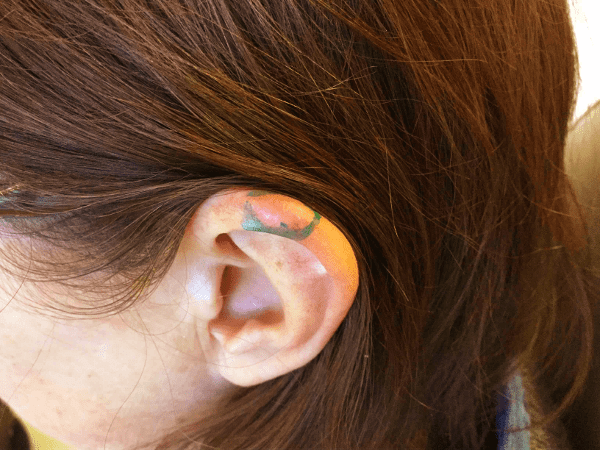 Patient underwent Mohs surgery in five stages and reconstruction with pedicled temporal parietal fascia flap, ipsilateral ear cartilage graft and split-thickness skin graft.